Nicks is three years old and lives with our friend Lena in Småland. She’s imported from Scotland out of Cynfal Gwen by Myllin Davey. We wanted a puppy from Davey as we like his style of working. When we watched a videon of Nicks’ mother Gwen, we knew this was a great combination. Both Davey and Gwen have been successful in trials at the highest level. 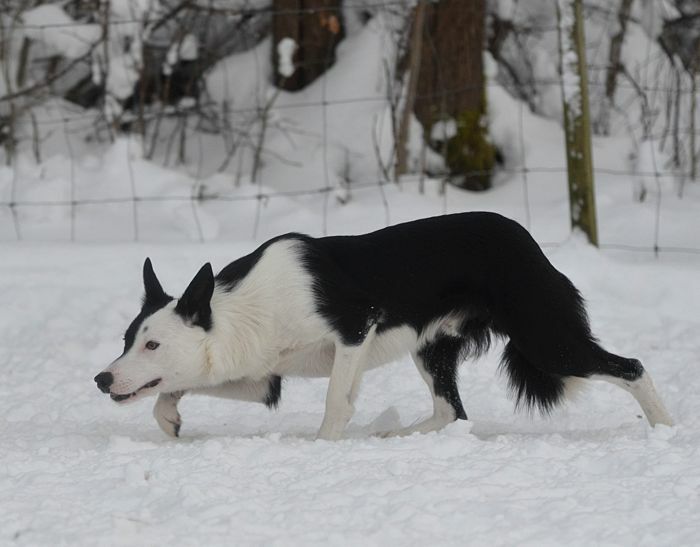 Nicks’ father has a few litters in Sweden and looks like a good breeder of sound hips. We don’t know a lot about Nicks’ mother as she is in Scotland. 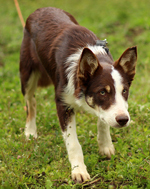 Nicks is a carrier of CEA, but will not produce any affected puppies as Bud is normal. Bud is also IGS normal, which means that no puppies will be affected. Nicks has passed the Swedish Working Test and competes in Open trials. She placed 8th at the Swedish Nursery Finals and represented Sweden at the Nordic Nursery Championships. She has a great temperament and a magnificent build. Nicks is happy to drive sheep anywhere and is a good listener. Nicks will be bred to FTW Bud. He also turned three in December and has not been bred before. We believe that Bud is a good match for Nicks. He is intense, stylish and fast with good outruns and very strong heading instinct. He loves shedding and to hold sheep. He is confident and strong in tight quarters. He’s very concentrated with good driving skills even thought he still can be too fast. 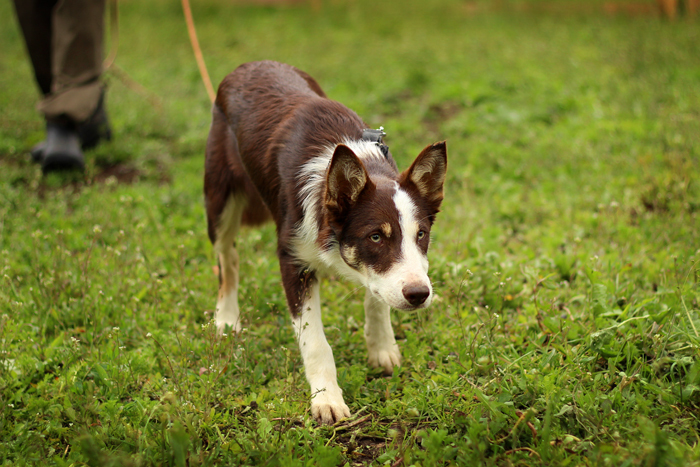 He has passed the Swedish Herding Test and also competes in agility where he is a champion. 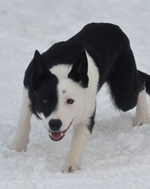 Bud is a small male (49 cm) with good bones and a fantastic ability to build muscle (20 kilos). He is well built and healthy. He has B (good) hips, but they looked excellent to me. Four of his five siblings are x-rayed – all with excellent hips. All half siblings are also normal and his parents are from fully normal litters. Preliminary hip dysplasia index for this breeding is 100 (January 2018) which is average.